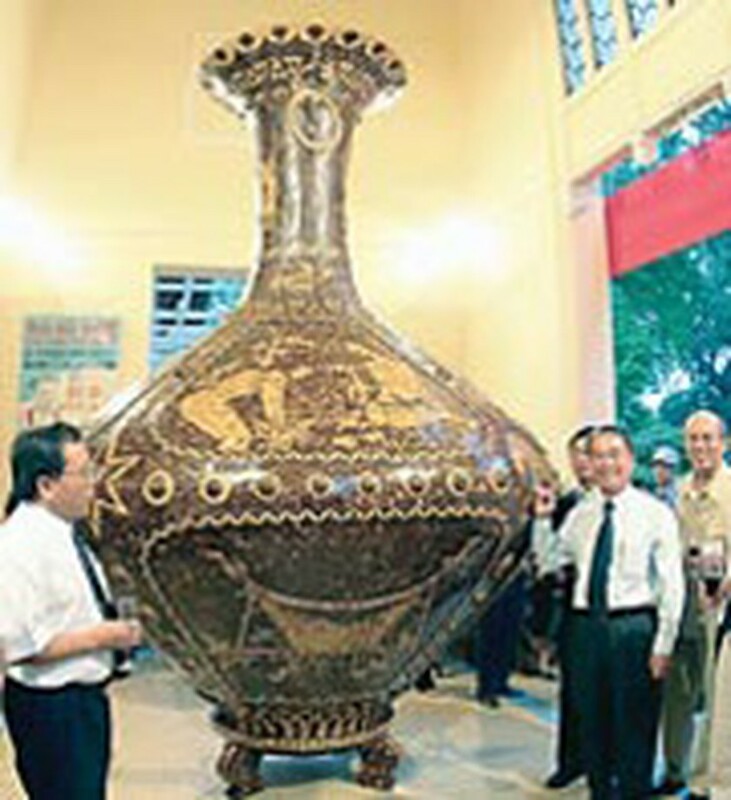 Taiwanese businessman Chen Li Shun has donated the largest vase ever made in Viet Nam, a 623-kilogram behemoth for which he paid VND500 million, to the City of Ho Chi Minh. The handover to the Ho Chi Minh City People’s Committee was done last night at the HCMC Museum of Vietnamese History in the presence of members of the People’s Committee of Phu Yen province, where the vase originated. The largest vase was made from more than 200,000 pieces of coconut shell. Fashioned from more than 200,000 pieces of coconut shell, the vase measures 3.62 meters in height and 2.55 meters across, and cost VND200 million to fabricate. It took three and a half months for 20 craftsmen of the Binh SVC Handicraft Company in Tuy Hoa, Phu Yen Province to make the vase, which is named “History of the Hung Dynasty”. The carvings on the outside depict four Vietnamese legends: Lac Long Quan and Au Co, Tien Dung and Chu Dong Tu, Banh Chung and Banh Day (types of savory food), and Trau Cau (betel leaf and areca nut). Also appearing are the famous Dong Son bronze drum, an ancient boat, a highland communal house, a highland gong, small jars, the birth of Lac, and a rice-pounding scene in the highlands. 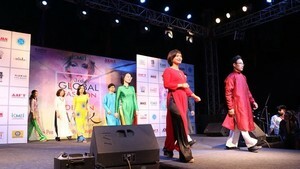 The VND500 million that Mr. Chen Li Shun paid for the vase went to help Phu Yen’s poor.